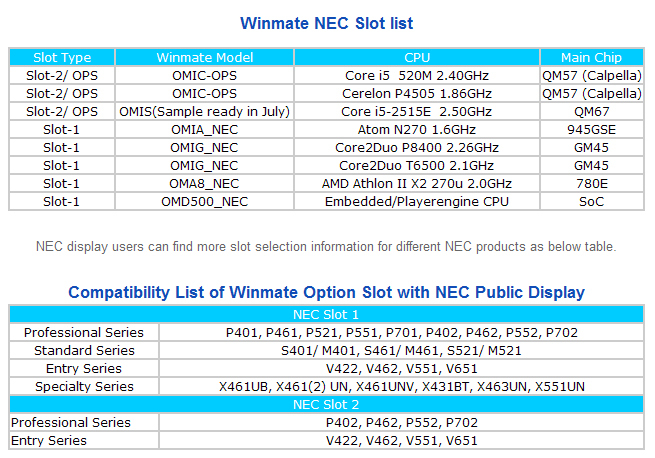 Winmate has recently announced Option Slot Series that are compatible with new NEC displays that has new option Slot-2. 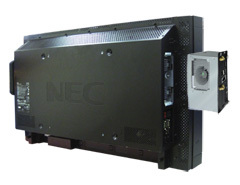 NEC Option Slot-2 is based on Open Pluggable Specifications (OPS) that is promoted by Intel. With Winmate’s OPS, NEC display can be upgraded into signage Panel PC. Option slot has become a trend to increase flexibility in digital signage application. Different from traditional digital signage, option slot solution has advantages of ease of installation and maintenance by plugging into PC. By using option slot, users only need to replace the slot without exchanging the whole system. 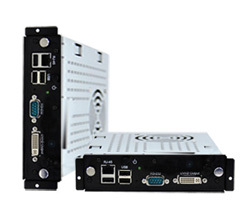 Also, the All-in-one system avoids too many external cables that connect display and PC module on traditional digital signage system. The new application can save time, cost and space for users. To aim for potential option slot market, Winmate and NEC cooperate and release two types of option slots for current model of Slot-1 and new Slot-2. Below table lists a series product that can be pluggable on NEC displays and each CPU and main chip. The slot-2 is specially designed according to Intel Open Pluggable Specification (OPS).